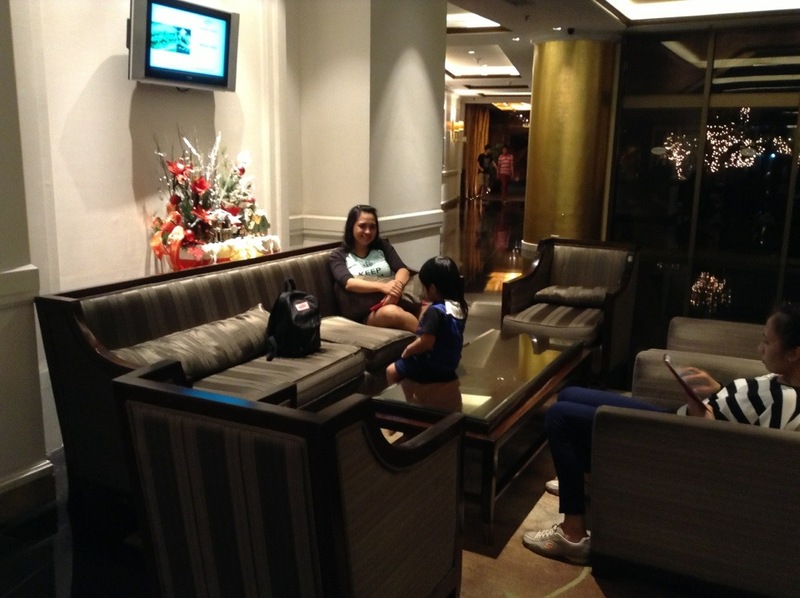 Before ending the year, my sisters and I spend 2 days (Dec 26-27) of bonding and chatting. 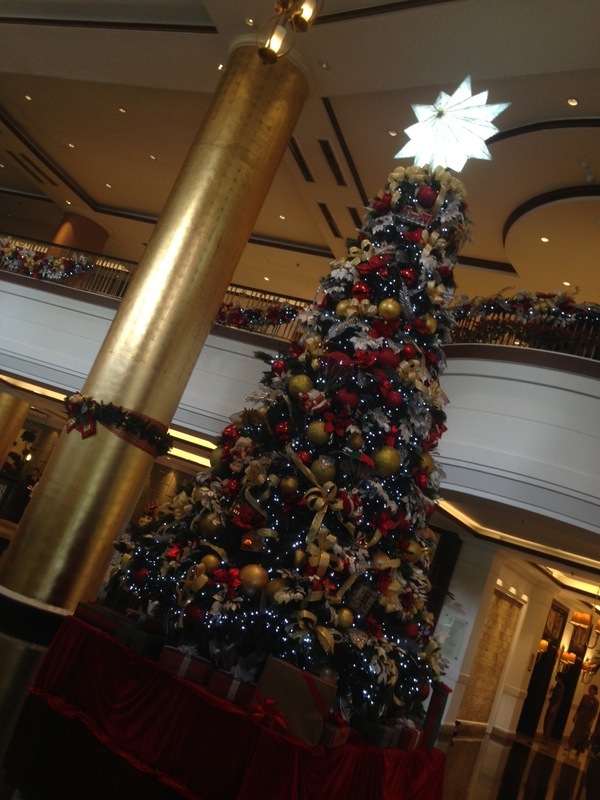 This year we decided to celebrate the fruitful 2013 in Dusit Thani Manila. We booked 2 rooms, 421 and 422. 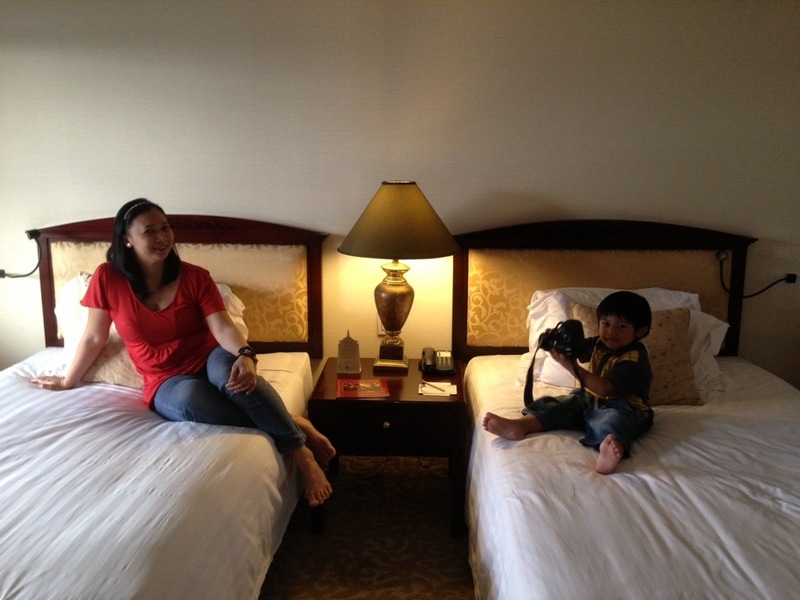 Me, hubby, and my son, stayed at room 422. It was a room for the disabled. We’re lucky though, it’s quite huge, my son has more space to run! 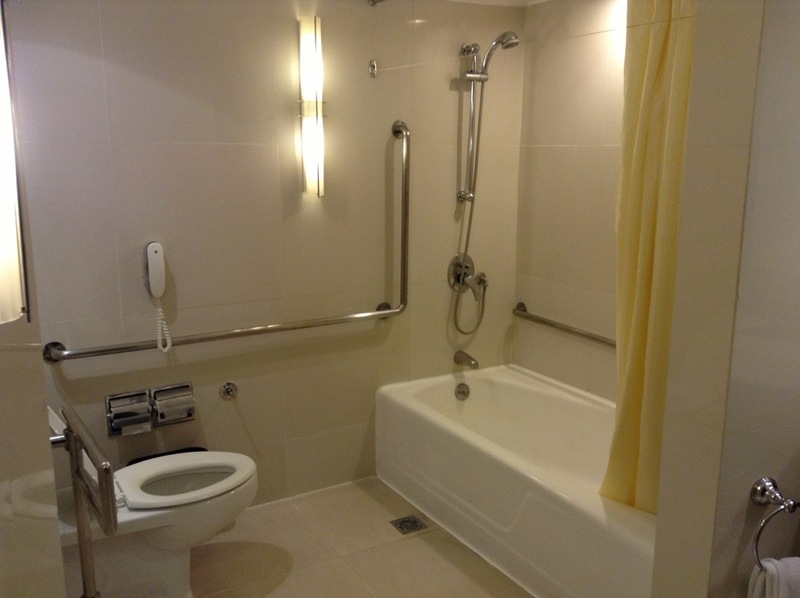 What I love about this room is its cleanliness, particularly the bathroom! Im very particular with the bathroom! The grouting is white clean, there’s no stain on the tiles, neither on the bathtub. The shower is clean, no water stain! Though I wonder why there was only 1 dental kit when we arrived, though when they make-up our room they replenished it with 2. Speaking of make-up, the housekeeper was so kind to offer to make-up our room, even though we’re checking out the same day. 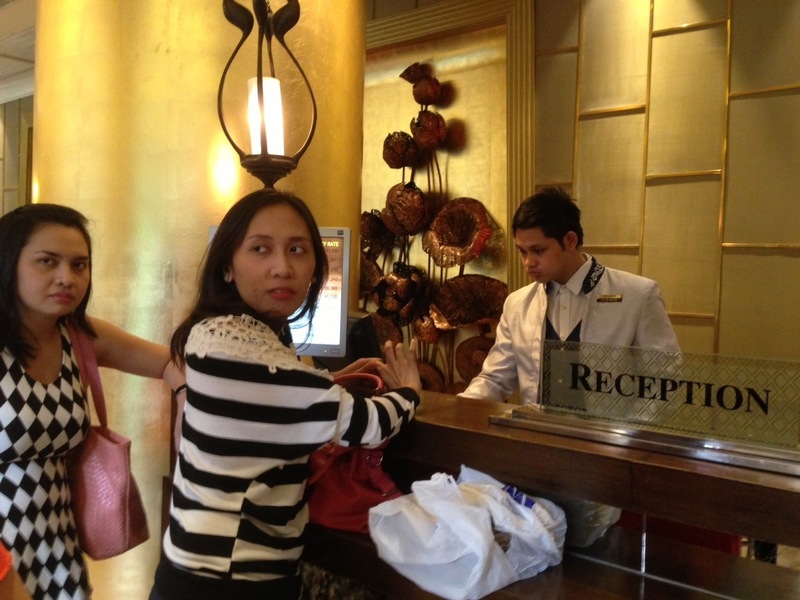 (Just between us, in other hotels if you’re checking out they won’t make it up even if you requested.) 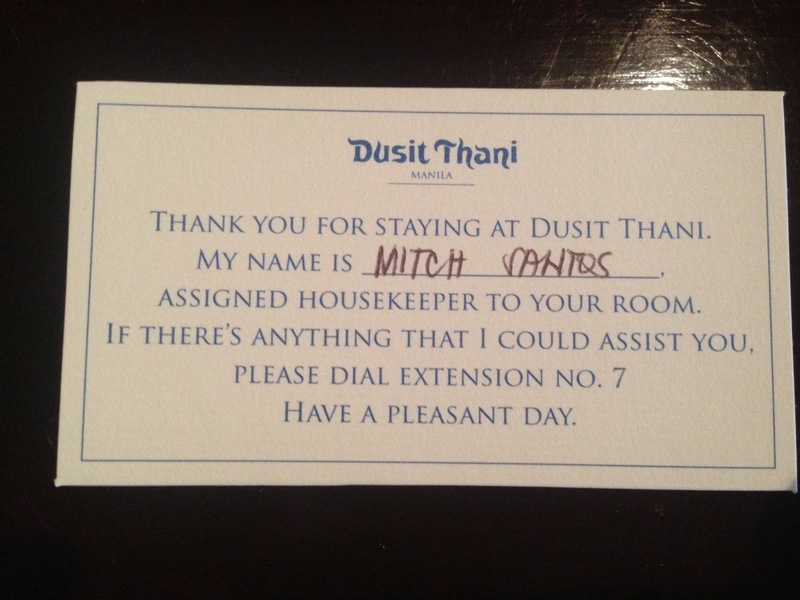 kudos to the housekeeper and the supervisor! Plus the drawers are not dusty! 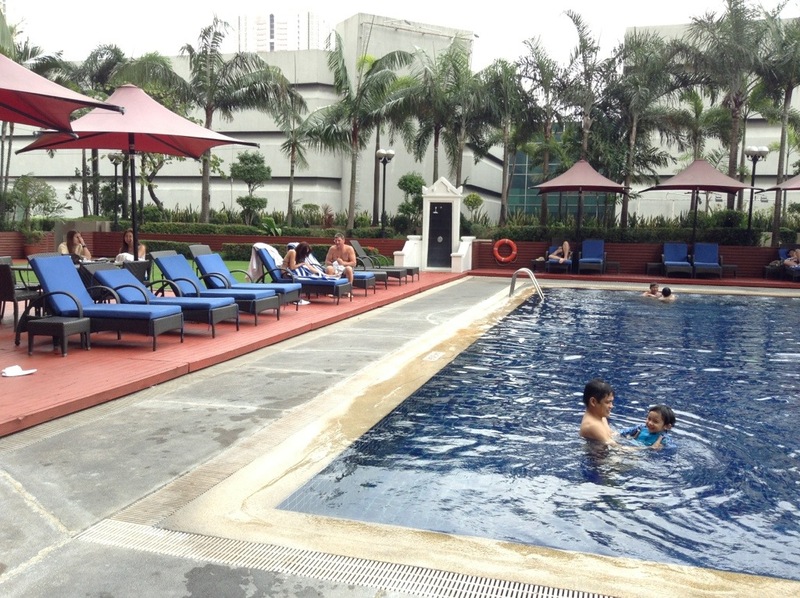 Then the swimming pool. They have 3 pools. 2 kiddie pool and 1 adult pool (4ft). My son loves to swim in the adult pool with his dad. Remember keep your kids at arms length all the time. The pool staff are so helpful. As soon as they saw my dad on wheel chair, they immediately run to our assistance! 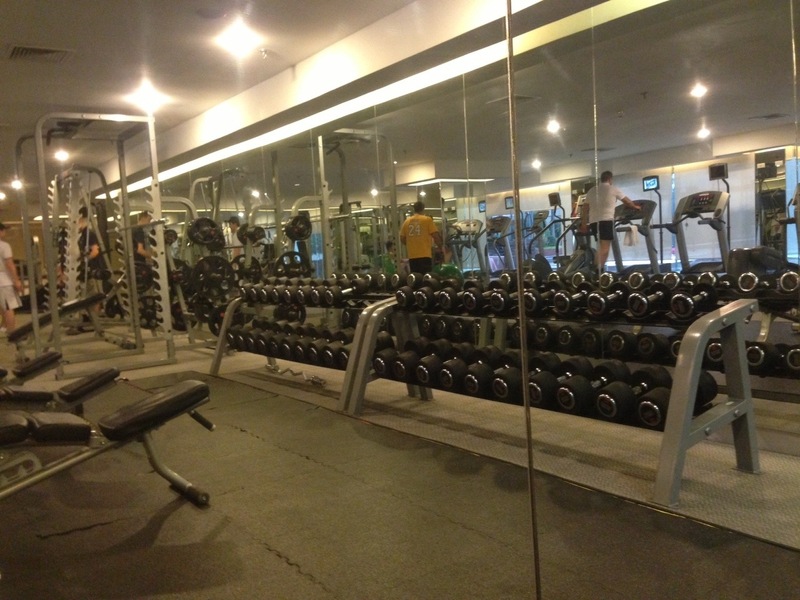 My hubby’s favorite, the GYM! I brought my toddler at the gym, since he’s not allowed to stay in the gym, they let us wait in their coffee/reading area. I love the gym staff! 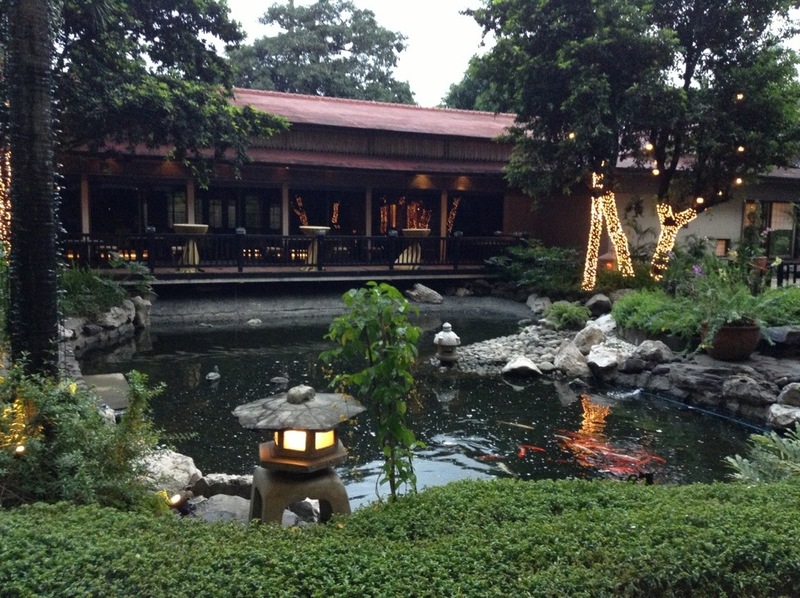 Before we left the hotel I was able to take a walk at their garden. It’s lovely! I wish I spent more time here! 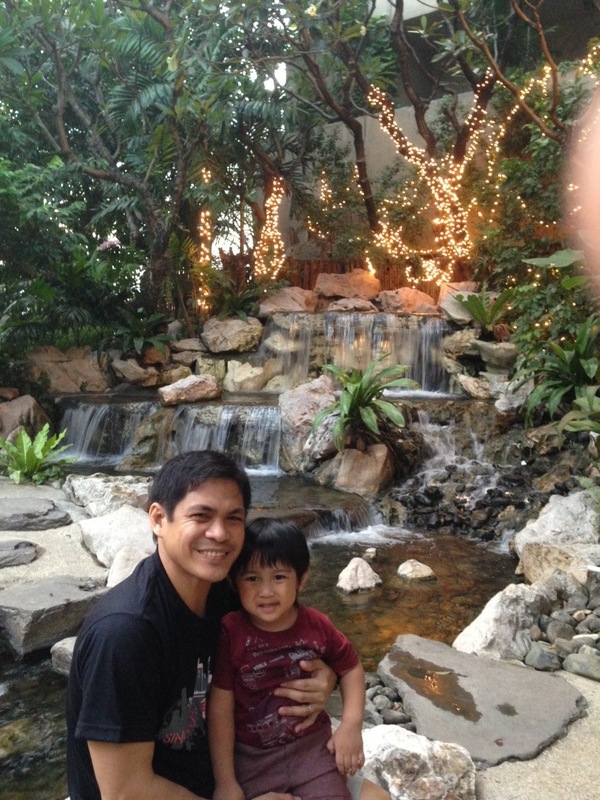 They have a mini waterfalls! Lastly, thanks to the front office staff for giving us rm 421 and 422. 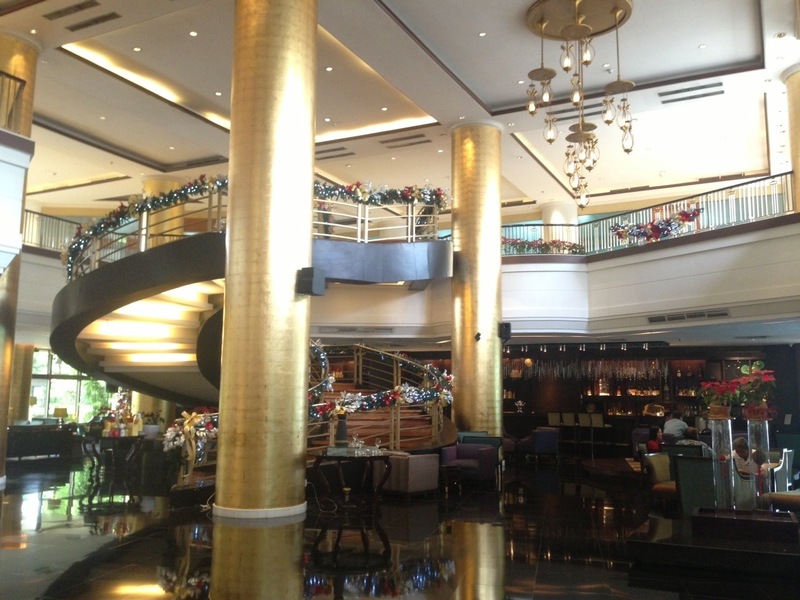 To sum it up, Dusit Thani is an old hotel but it give us THE BRAND NEW FEELING! So far this is my happiest Staycation! January 1, 2014 in FAmily, Travel & Leisure. 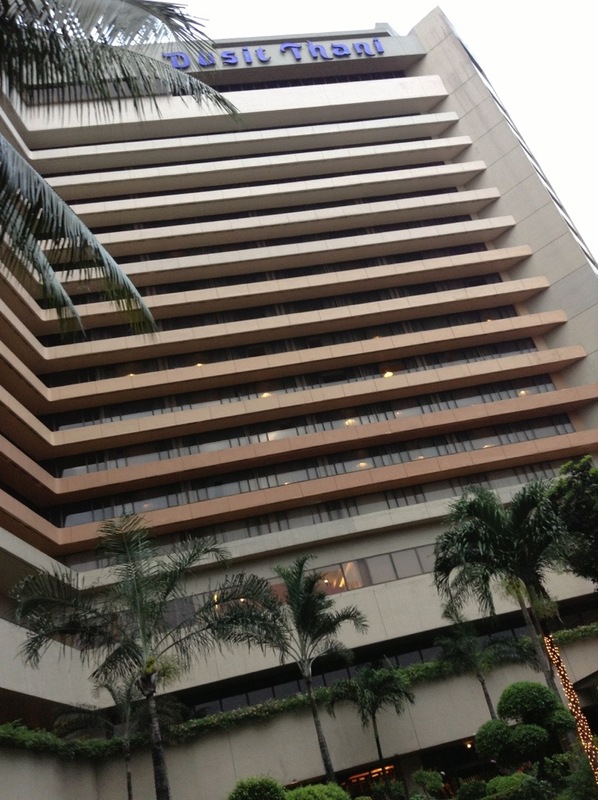 Tags: Dusit, dusit Thani, hotel, housekeeping, kid friendly hotel, Staycation, toddler, vacation, where to stay in Manila.